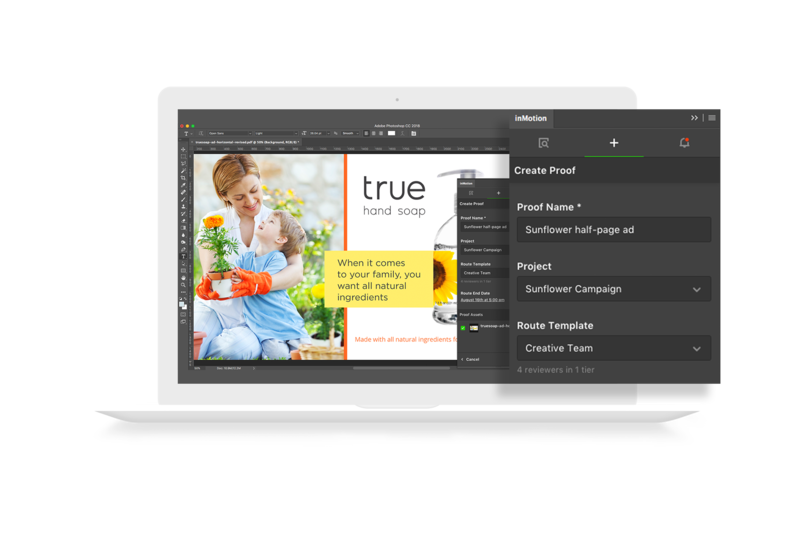 The new inMotion Extension for Adobe Creative Cloud helps bridge the gap between creative and marketing teams. 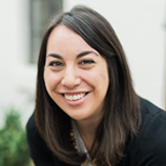 As a Product Manager at inMotionNow, my number one priority is crafting delightful, valuable product experiences that make our customer’s lives easier. After countless conversations with customers, it was clear that one of the surefire ways we could make inMotion ignite’s workflow capabilities even more powerful is by integrating with the tools creative teams already use and love. That’s why we’re excited to announce the new inMotion extension now available for Adobe Photoshop CC, Adobe InDesign CC, and Adobe Illustrator CC! We know that our customers are heavy users of Adobe Creative Cloud apps, and, as our Creative Workflow Management Report recently found, designers typically spend one full day each week on admin tasks. With stats like these, it just made sense to build this extension to add to the inMotion ignite product suite to ensure creative teams can spend less time chasing approvals and more time creating! The inMotion Extension for Adobe Creative Cloud will build a bridge from Adobe to inMotion ignite, giving designers easy access to their workflow to keep their work in motion (pun intended!). We’ve worked tirelessly to ensure the next generation of inMotion empowers creative teams and helps them achieve the greatest level of quality and efficiency in their work. Processes become so much easier to follow with the right tools in place, especially since graphic designers live and breathe Creative Cloud to do the work they love! With the inMotion extension, it’s no longer a hassle to route out work for review, check on feedback, or keep track of versions. In addition, designers can easily jump into conversations in the review to collaborate with marketing partners and requesters. These extensions also benefit creative leadership, who want to ensure their team has quick, easy access to workflow tools and returned feedback. Ultimately this decreases turnaround time, improves accuracy, and creates what I like to call “job joy.” Our new platform purposefully connects with the Adobe programs creative teams use the most, ultimately strengthening collaboration and providing much-needed transparency around the work being completed. 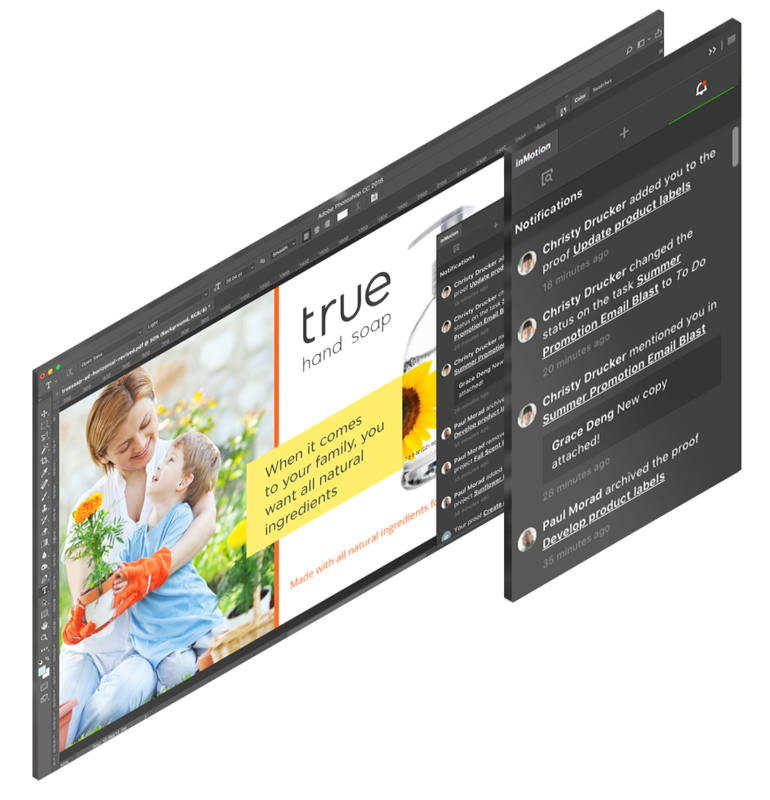 The extensions we have designed enable graphic designers to accomplish three main goals from within the Adobe product suite – send work out for review, version work, and monitor current projects. To send work out for review, it’s as easy as creating a new proof from within the extension. Creative work is automagically exported in PDF, PNG, or JPG formats using Adobe’s built-in export mechanisms, so reviewers can easily view the assets as intended and trust they are rendering accurately. Designers can then add proof details, like deadlines and reviewers, and route it out for review – all without leaving Adobe! While the proof is in review, designers can check on progress and comments with a quick glance at their My Proofs list in the extension. Once the proof is returned with reviewer feedback, designers can see comments and mark-ups to incorporate into their next version. Uploading the new version and sending it back out to reviewers can be accomplished in just a few clicks. Designers can even add notes to the proof before sending to ensure reviewers know why certain design decisions were made. One of my favorite features within the extension is the ability to see in-app notifications in real time. Now designers don’t have to live out of their email inbox or project management system to stay in the loop. Instead, the inMotion Extension for Adobe Creative Cloud gives them the ability to see every notification. Each time they are @mentioned in a project, assigned a new task, a proof is returned, or work is overdue, they can now see it right from the creative cloud environment as soon as it happens! In addition, we’ve made it incredibly simple to navigate back and forth between the Adobe extension and inMotion ignite. Buttons within the extension will take you exactly where you need to go – whether that is collaborating with team members, leaving instructions for reviewers, or checking out a new assignment. Since we started on these extensions, customer feedback has been incorporated in every step of our process. Some of these conversations even took place at Adobe MAX! We’re really lucky to have access to customers that are passionate about their work and eager to provide valuable insights that we can use to drive our development process. We’re excited to release the inMotion Extension for Adobe Creative Cloud. Cheers to the next generation of creative workflow!